A highly successful stage director and a co-founder of "The Actors Studio" in New York, Elia Kazan brought his psychological and emotional philosophy of stage performance to Hollywood in 1945 and sparked a radical redefinition of screen acting during the 1950s while at the same time producing socially conscious films which challenged societal norms and addressed such controversial topics as anti-Semitism, racism, alcoholism, public corruption and the cult of celebrity. Further marked by compelling personal stories, Kazan's films also showcased career-defining performances by such 1950s film icons as Marlon Brando, James Dean and Natalie Wood. Over the course of his film career, nine performers earned Academy Awards under Kazan's direction, leading to his reputation as Hollywood's preeminent "actors' director" of the period (read Teresa Wright on Kazan); only William Wyler guided more Oscar-winning performances (14). Kazan himself earned two Oscars as Best Director and was also given an honorary award in 1999 in recognition of his "long, distinguished and unparalleled career." 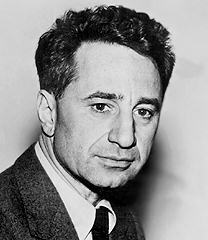 Elia Kazan began his theatrical career as an actor and stage manager for New York's Group Theatre company in the 1930s but turned to directing in the early 1940s where he made a name for himself guiding Thornton Wilder's Pulitzer Prize-winning production "The Skin of Our Teeth." Lured to Hollywood by 20th Century-Fox, Kazan directed the studio's film adaptation of Betty Smith's popular novel A TREE GROWS IN BROOKLYN (1945) starring Peggy Ann Garner as a young girl growing up in the tenements of New York in the early 1900s. 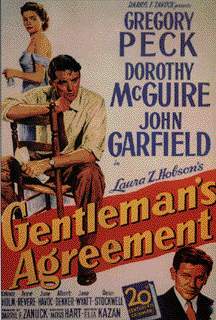 The touching drama also features Dorothy McGuire, James Dunn and Joan Blondell, and both Garner and Dunn were recognized by the Academy for their performances in the film. After A TREE GROWS IN BROOKLYN, Kazan returned to Broadway where he began long collaborations with playwrights Arthur Miller and Tennessee Williams, directing their "All My Sons" and "A Streetcar Named Desire" respectively. Kazan became increasingly active in filmmaking after World War II, and his screen adaptation of Laura Z. Hobson's novel GENTLEMAN'S AGREEMENT (1947) proved a compelling indictment of socially accepted anti-Semitism, earning eight Academy Award nominations and three Oscars, including one for Best Picture of the Year. Starring Gregory Peck and Dorothy McGuire, and featuring notable supporting performances by John Garfield, Celeste Holm and Anne Revere, the film relates the story of a reporter who pretends to be Jewish for a story. Kazan earned his first Best Director Oscar for his work on GENTLEMAN'S AGREEMENT and followed that success with the crime drama BOOMERANG! (1947) starring Dana Andrews, Jane Wyatt, Lee J. Cobb and Arthur Kennedy. 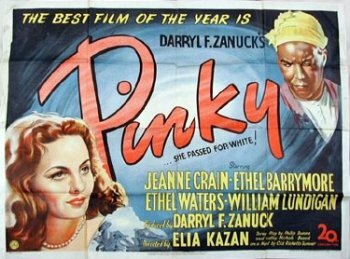 PINKY (1949), adapted from the novel by Cid Ricketts Sumner, tells the story of a light skinned black woman who returns to the South after graduating from a northern nursing school and, facing discrimination, reluctantly reassumes her identity as a black woman. Under Kazan's guidance, stars Jeanne Crain, Ethel Barrymore and Ethel Waters all earned Academy Award nominations for PINKY, and Ethel Waters' nomination marked only the second time in Academy history (following Hattie McDaniel's Oscar for GONE WITH THE WIND (1939)) that the work of a black actress was so recognized. For all the landmark plays and films Kazan directed, only once did he direct both the stage and screen versions of a production. 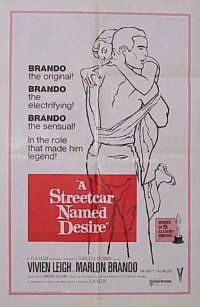 In 1951, Kazan introduced film audiences to Tennessee Williams' successful stage drama A STREETCAR NAMED DESIRE which he had directed on Broadway in 1947, launching the career of Marlon Brando. Brando reprised his portrayal of Stanley Kowalski for the screen adaptation alongside Kim Hunter and Karl Malden who were also retained from the Broadway cast. (Vivien Leigh took over the lead role of Blanche Du Bois from New York's Jessica Tandy however.) All four of the production's leading actors received Oscar nominations for their performances under Kazan's direction, and the film's twelve total nominations included one for Best Picture and another for composer Alex North's score. "Streetcar" (clip) by Alex North (a .MP3 file). "Original Theatrical Trailer" with Vivien Leigh, Marlon Brando, Karl Malden and Kim Hunter (a .MOV file courtesy AMC). "Stella!" with Marlon Brando and Peg Hillias (a .MOV file courtesy Time Magazine Online).